Walter Barrett performs as a free-lance musician throughout the New York area on Alto, Tenor & Bass Trombones, Bass Trumpet, Euphonium, and Tuba. He has performed with the Westchester Symphony, Yonkers Philharmonic, Philharmonic Symphony of Westchester, and the Hudson Valley Philharmonic, to name a few. Walter has been featured as soloist with many local groups, including the Lehman College Community Band, White Plains Pops Band, Manhattan School of Music Trombone Ensemble, Yonkers Philharmonic, and the Westchester Band. Mr. Barrett is a founding member of the Bottom Line Tuba Quartet, Grace Avenue Brass Ensemble, and Cornucopia, a brass chamber duo founded with his wife, Dr. Connie Tomaino. Every Autumn, the lederhosen come out for many fun Oktoberfest gigs with bands like “Alpine Squeeze,” “Diamond Chips,” and the “Royal Bavarians.” After playing in the Iona College Pep Band for many years as a sideman, Walter has taken over the leadership of the band as of the 2012-13 basketball season. The Gaels were 10 for 11 at home this year. Coincidence? we think not. 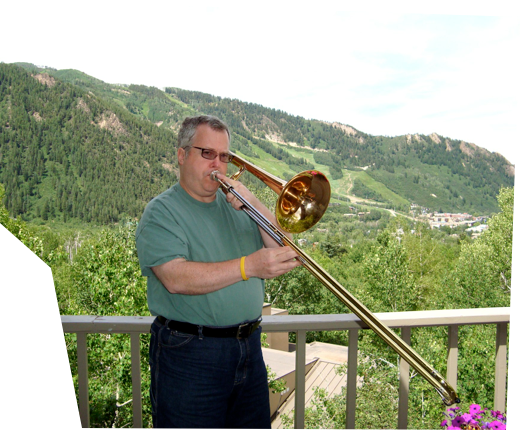 Walter has had articles on "Trombone Legato" and "Vibrato" published in the "Online Trombone Journal." In the summer of 2005, he was asked to be a Moderator of The Trombone Forum. His Forum "handle" is WaltTrombone, and he oversees the Practice Room, Just For Beginners, and Accessories rooms on the Forum. He is a Yamaha Performing Artist/Clinician, and is listed in "Who's Who in American Music".